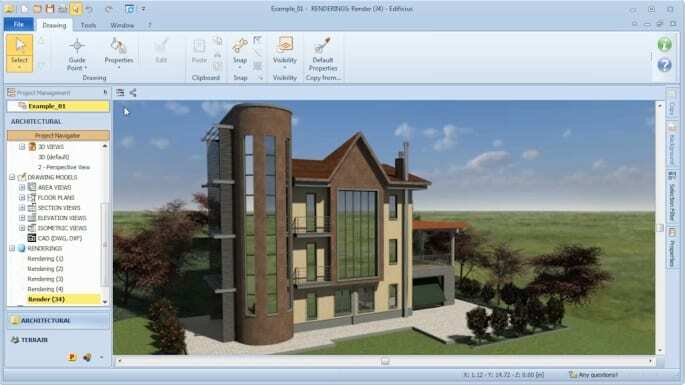 Architectural design in a BIM software is achieved by modelling various types of building related BIM ojects such as, envelope elements (walls and slabs), doors, windows, stairs, etc. 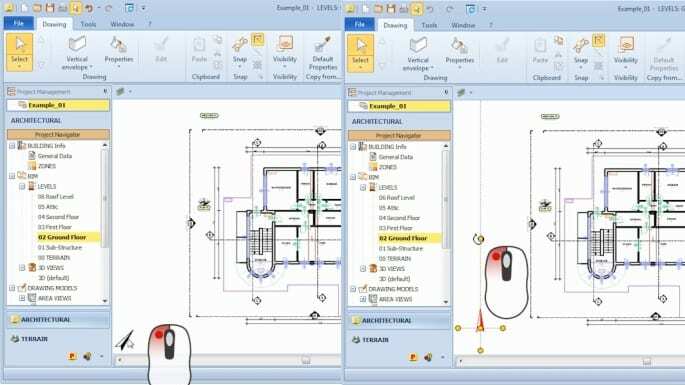 By means of a typical 2D and/or 3D input, in BIM, unlike what happens with the outdated 2D CAD technology, the objects that you use to design are “smart objects” with their own properties and not simple meaningless straight lines. 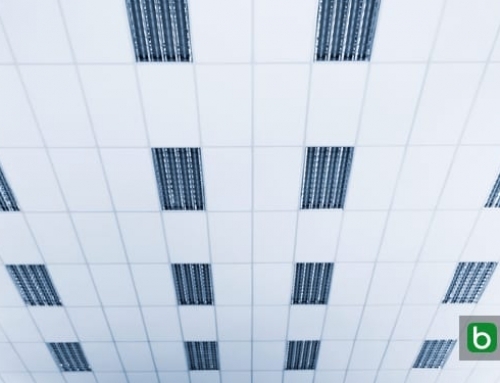 “Intelligent objects” mean objects that can be represented automatically in 3D or 2D and be assigned with a certain amount of information, such as the composing material layers, geometrical information, and materials. 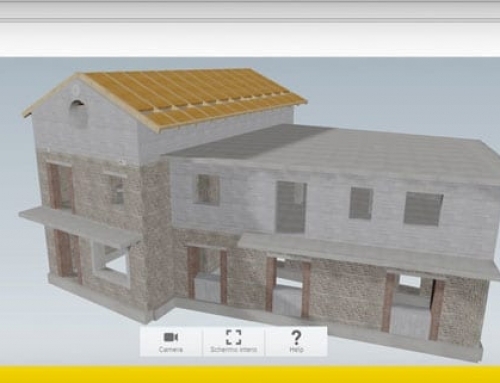 These objects contribute in obtaining a three-dimensional representation of the building model and at the same time, build up an information system of the construction as a whole and of each of its components. 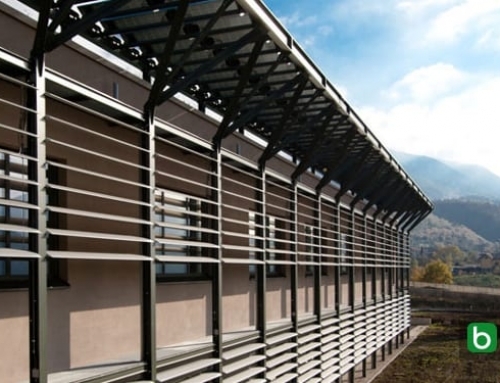 The building’s model, with its three-dimensional representation, can then be ultimately expressed through a Highly detailed, lifelike rendering. The term rendering, defines the process that allows you to obtain a very realistic artificial image. The entire model is then covered with HD materials (textures) and illuminated by an artificial lighting scheme to correctly reproduce the true effects of our design choices. 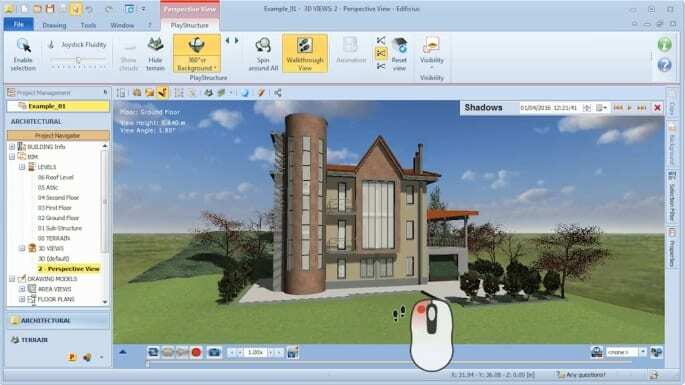 After creating a static image, we can even produce an animation: for example, you can take a virtual “walk” through the rooms of a house to check how the building works. That’s why a photorealistic rendering becomes fundamental in architectural design. 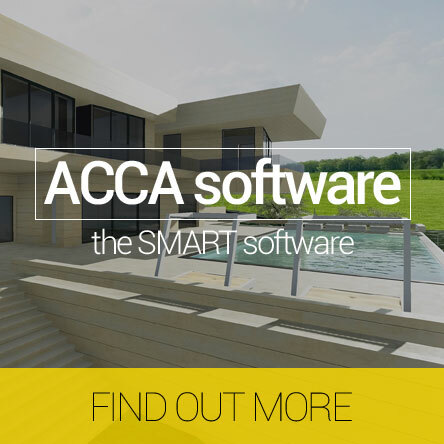 Let’s look at how to set the North-South orientation correctly and proceed to producing a rendering of the BIM model using the Edificius developed and distributed by ACCA software. 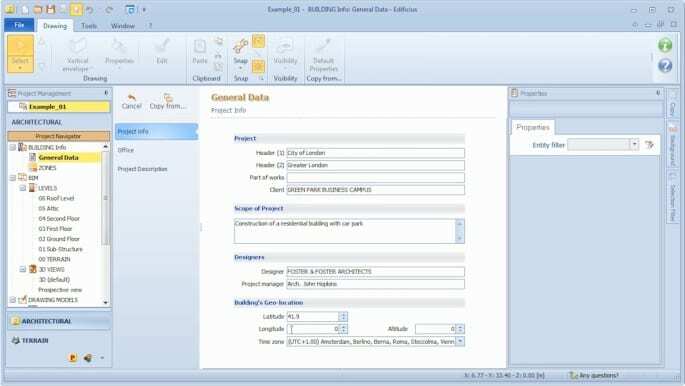 Let’s start off by setting up the building’s geographic coordinates in the project’s General Data section. 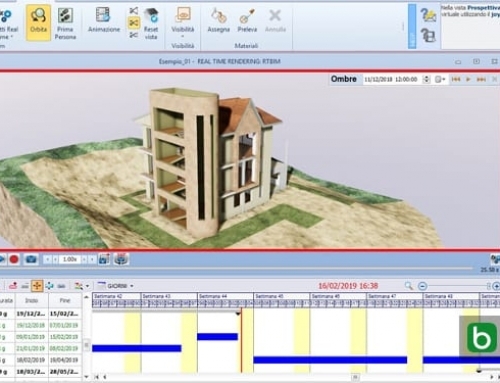 By selecting the compass object at the bottom left of the plan view, you can easily change the North direction to give the model its correct orientation. Using the program’s innovative PlayStructure technology, the user can control the structure with a perspective view that allows you to perform a “lookout” directly in the project to observe in detail all the architectural details. 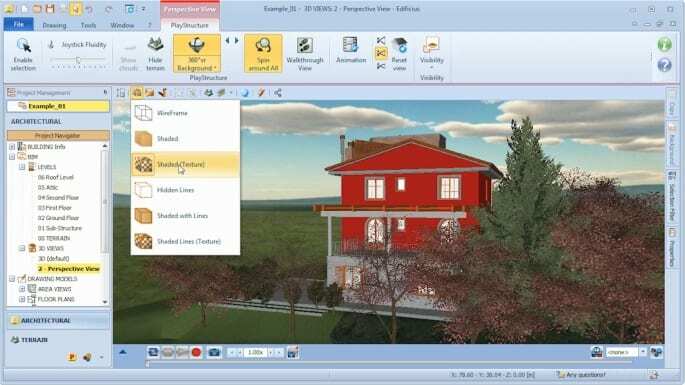 To add a PlayStructure view, simply select the “Add Perspective (PlayStructure)” option that appears with a right mouse-button click on the 3D VIEW node in the Edificius Project Navigator. A new sub-node is added to the project navigator opening the PlayStructure view. In the Edificius PlayStructure View, you can now use the keyboard or a Joystick to enter the various rooms, move from one floor to the other, climb the stairs and basically simulate the observer’s point of view to verify the project. 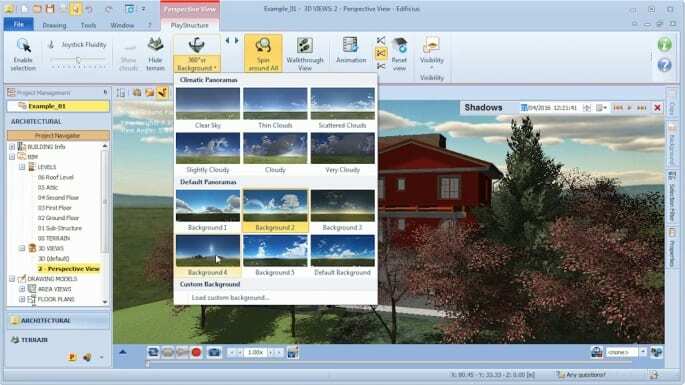 The PlayStructure environment has all the necessary tools to manage the 3D View and set the relevant preferences too. 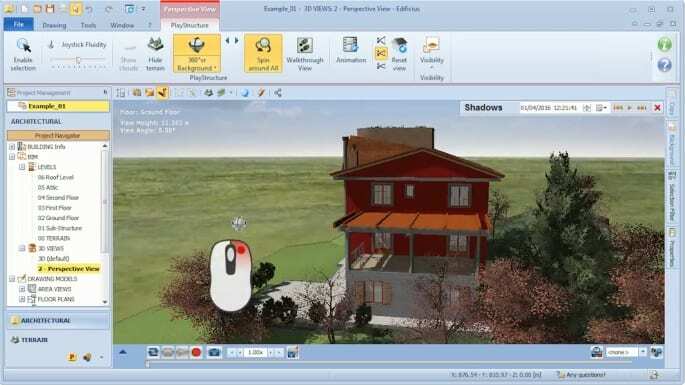 Shadows be effectively simulated in Edificius with its built-in Shadow Management feature. By setting a given date and time, you can actually see the effects of natural sunlight (lights and shadows) and how they affect the model at certain times of the day. To give even more realism to the building model, you can also load your own 360 panorama photo or choose one from the included archive. 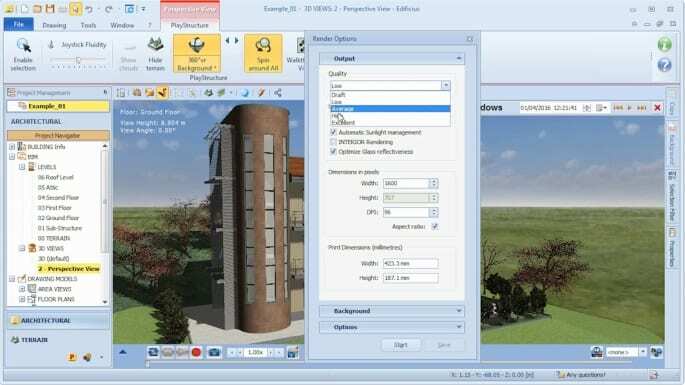 The PlayStructure window also allows the user to to change the model’s position within 3D View. 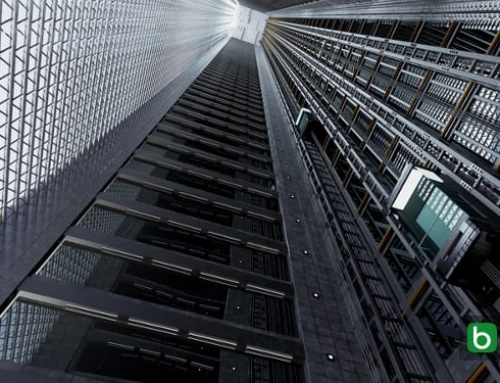 Use your mouse or joystick to take a virtual tour around the scene and navigate around the building. The observer’s point of view can be adapted if necessary. 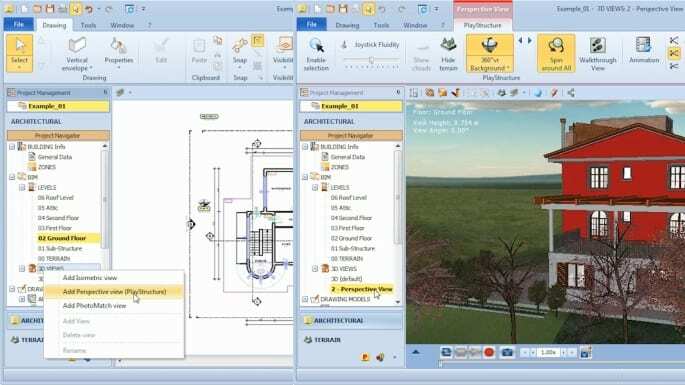 To produce a HD rendering of the scene, simply define the basic rendering settings in the dialog and launch the rendering process.